Ok, so this took much longer than I expected. Apparently I have a lot to say, or its probably more that I just have quite a bit of supplies. So for this I’m going to focus on my main stuff – aka the watercolor and pen paintings. There are a lot of options when it comes to paper. I find that people tend to find a brand they feel good about and then stick with it. I’m no different. In reality there are 2 main choices when it comes to watercolor paper, Hot or Cold Press? And what weight. 9 times out of 10, I choose cold press. I find it just looks more like watercolor paper. It’s a little more textured and most certainly holds more water. I only really chose Hot Press when I know it’s mostly going to be about line work and will have very limited color. After testing quite a bit, hot press doesn’t really hold up to layering paint. The second big choice is weight. There are two 140lb or 300lb. For me, if a painting is bigger than 8x10inches, I go for 300lb. I work in layers, like a lot of layers. And because of that I need a really durable paper. I cant have my paper get scrubby after 2 or 3 layers because often times I’ll layer 4-8 different times. So 300lb holds up better. 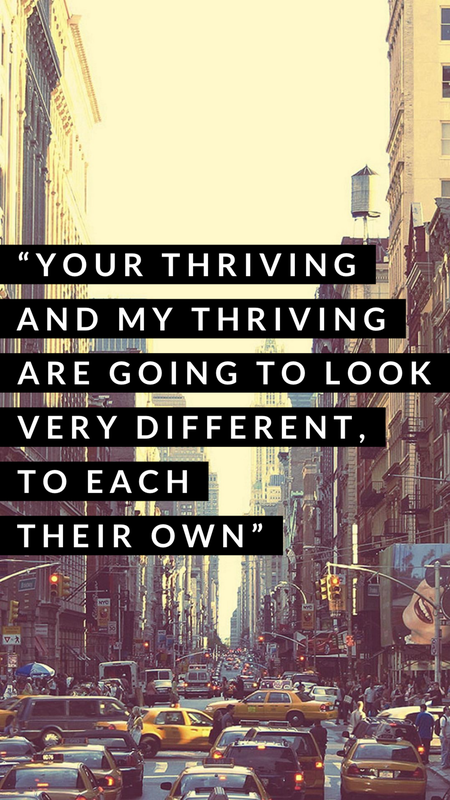 There are 2 brands that I gravitate towards – Arches and Kilimanjaro. Arches has a bit more texture to it. So most times I go for Kilimanjaro. I think this has a lot to do with the fact I went to architecture school but I exclusively use Alvin’s draftmatic pencils. If a painting isn’t going to use any pen then I opt for the .3mm one (yellow). When I’m using pen I use microns – which is like an industry staple. I’ve tried a whole lot, and the reality is that I need 10000% waterproof because who wants a bleeding pen?? And truth be told if I’m going to pen a drawing it happens before the watercolor because I hate the fuzzy lines that happens when you do it post watercolor. If I want something that has a bit more of a variation to it than the microns, I’ll use my LAMY fountain pen or my speedball quill. 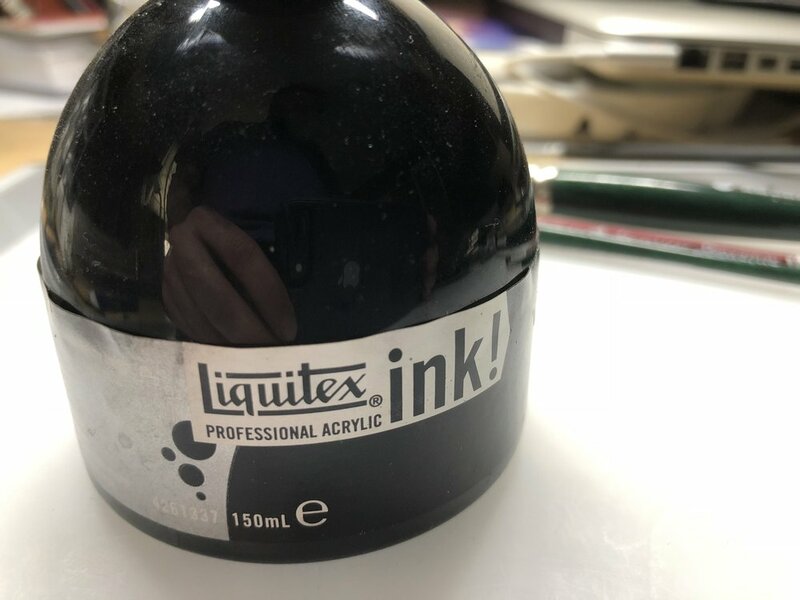 Both use Liquitex acrylic ink because again once it dries, its dry and not going anywhere. So around October of 2017, I decided it was time I invested in some top notch brushes. And I have pretty much using them exclusively ever since. I got two sets of Escoda brushes. The Versatil set is synthetic, and the Reserva is Sable hair. I LOVE these brushes. The reserva set are my only ‘real’ hair brushes, and holy smokes do they hold a lot of water. 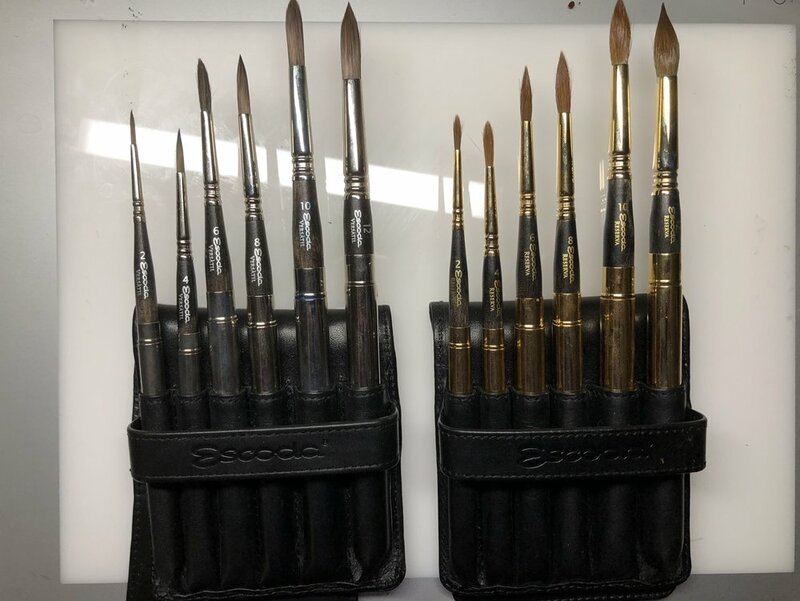 I have a ton of other brushes, that I occasionally use (below) but truth be told, Ive barely touched them since getting the escoda sets. So I have a lot of tins, my travel set is in an American Journey tin, my master set is a converted pencil gift set that I just used double-sided tape to keep the pans in place. But the real jewel of this section is my flower palettes. They’re made of porcelain and that matters. See for a long time, like most students I got a cheap plastic mixing tray, the problem though was if the paint sat on there too long, the plastic would stain and I could never get it back to white. Porcelain is different, I can walk away – for days even – and just add water to my mixes that have dried and keep using them. Or I can just run it under hot water, rub it a bit with a brush, and all the color comes off and Im back to a clean fresh palette. These are like $7 on amazon for the small one, but you could easily just go to a homegoods or bed bath and beyond and get a porcelain plate. Ok, so the biggest section of this whole thing… the paint. I’ve accumulated quite a bit of paint over the last 10 years. 119 tubes to be exact – that is if you don’t count the student grade paints. I know it’s a lot. Some of them were part of ArtSnacks when I was getting that, and others were experiments with different brands. And I prefer them in that order. And there are many reasons as to why - but that is a different (long) blog post. In short - Graham is so pigment heavy, I often pick up too much and they rewet like a dream. Qor rewets better than Daniel Smith, but I like that DS doesn’t use a synthetic binder. And to be frank, WN's quality has seriously declined in the last 10 years, like at this point I won't buy another tube from them. Like I mentioned before I have a huge studio master palette of 119 colors but here is the condensed version of my travel palette. 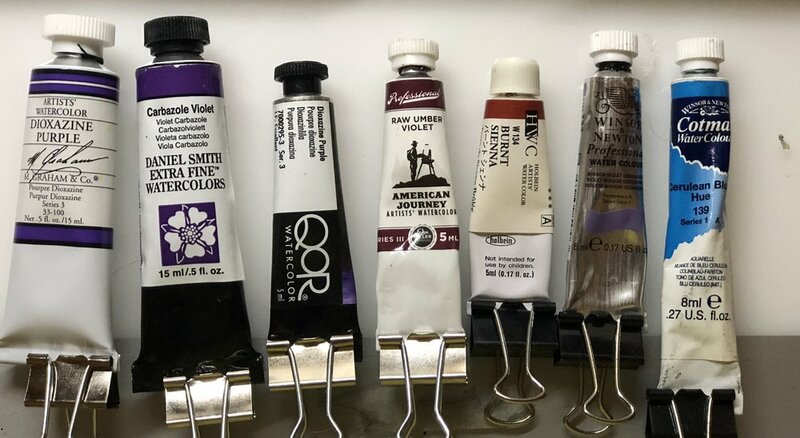 So if you’re looking to upgrade your paints and don’t want to spend a fortune – those 19 colors are my suggestion. I primarily paint from my master palette since I work in my studio most often. And just to be clear - I didn't buy all these at one time. Its an accumulation of 10 years of painting. Anyway let me know if you have any questions! I’m more than happy to help you find your favorite paper or brush or paints. Oh goodness, so I meant to start regularly updating this section of this site in January, but well, life. Anyway, lots happening at the moment, I just wrapped up a show in New Hope PA as part of the New Hope Artist League. And now I'm working on a bunch of pieces - 13 in total - for the upcoming annual show application season. These are the shows that I'm currently planning on applying to: Long Beach Works on Paper, PA WCS Annual Show, National WCS Annual Show, Allied Artist of America Annual Show, WC West Annual, Philadelphia Works on Paper Annual Show. The first deadline is May 5th, and the last is July 15. So if I end up applying to all those I'll have hit my goal of 2018 of applying to 15 shows. I don't think I'll apply to so many next year, maybe just the annuals of the organisations that I belong to. Though I really want to apply to Rittenhouse next year. With that though, I do have some other things in the works, commissions, guest writing on a art blog, etc. I also have a couple of drafts ready for this that I'll be publishing over the next few months, stuff like info on the supplies I use and all that jazz. Anyway I've got lots of painting to get to, so so long for now!